Pink Cooler Bag with Zip-Out Liner. Bright pink in color. 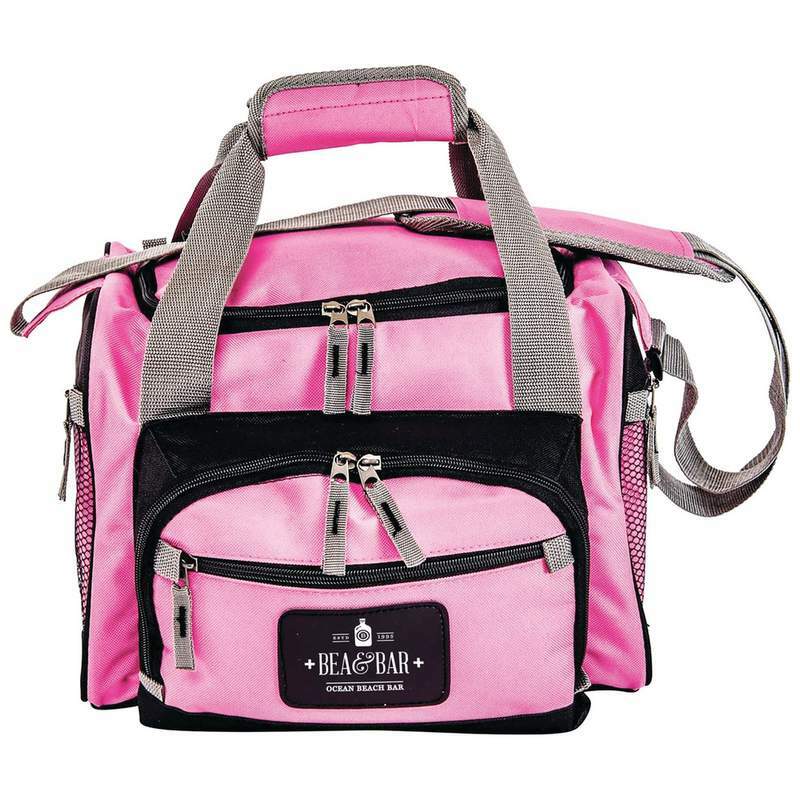 Features 2 zippered exterior pockets, 2 zippered side mesh pockets,hand straps, and adjustable shoulder strap. Polyester construction. Measures 12-1/4" x 9" x 9-1/2"